There are many important historical battlefields in the United States. These sites range from battles fought during the Revolutionary War, the Civil War, the War of 1812, and other smaller battles that occurred outside of a traditional war. These sites can be an impressive source for learning about some of the conflicts that shaped our country. 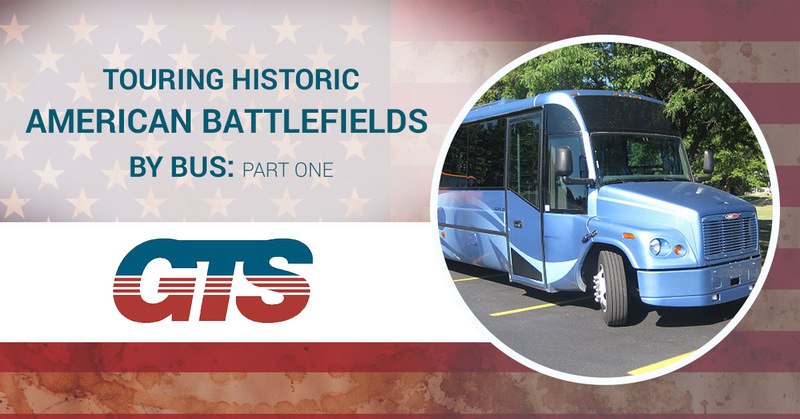 One of the best ways to tour these sites is on a chartered bus because, while many of these battlefields are relatively close together, most of them are still a long way from Michigan. The Northeast and Mid-Atlantic states are full of battlefields from the American Revolutionary War and the American Civil War. Bunker Hill, in Boston, has a monument to the American colonists who were able to hold their own against a superior force of British regulars only two months into the war. While the Battle of Bunker Hill was technically a loss for the colonists, the British suffered heavy casualties that opened the eyes of overconfident British military leaders to the capabilities of the supposedly weak militias. A large granite obelisk stands 221 feet tall on Bunker Hill to commemorate the 1775 battle. The site is a part of the Freedom Trail, a two-and-a-half mile long trail that passes by sixteen significant historical locations in and around Boston. Another theater of the Revolutionary War, the Battles of Saratoga are actually composed of a series of battles that took place over several days in 1777, beginning at Freeman’s Farm in September of that year. The British General John Burgoyne was surrounded by American forces after being abandoned by Native American support and a reinforcement force that never arrived, and was eventually beaten and forced to surrender. Today, views of the battlefield near Freeman’s Farm are just one part of the Saratoga National Historic Park. Other points of interest include the Saratoga Monument obelisk and the Boot Monument, which pays tribute to the heroic efforts of Major General Benedict Arnold, who was instrumental in defeating Burgoyne. The bloodiest battle in the Civil War (approximately 46,000 to 51,000 casualties between both sides), Gettysburg was also the point at which the war began to turn in favor of the Union. General Robert E. Lee hoped to invade the North for a second time during the middle of summer in 1863, so he led his army away from Virginia and into Pennsylvania. He wanted to push as far into Northern territory as possible in order to force Northern leaders to end their campaign against the Confederacy. While the South made some gains over the first two days, a disastrous charge (Pickett’s Charge) on the third day of battle was the final straw for Lee’s forces, who retreated back to Virginia after suffering 50 percent casualties during the doomed charge. If you’d like to take your class, or any group of people interested in American history, to any of these battlefields, call Ground Transport Specialists for a charter bus. Stay tuned for our next installment in this series.